These leather motorbike jeans can be worn with any RST mens jacket, or matched to the Tractech Evo II leather jacket to make a two-piece suit. 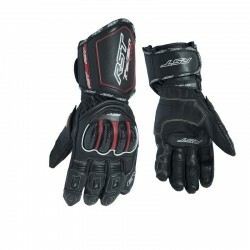 Don’t forget to add the Tractech Evo boot and glove to be ready for any type of riding. The Tractech Evo collection will get you to work on a Monday morning, out for a blast on a Friday night and then to your trackday at the weekend! Truly a jacket and jean combo made for the real world sports rider.